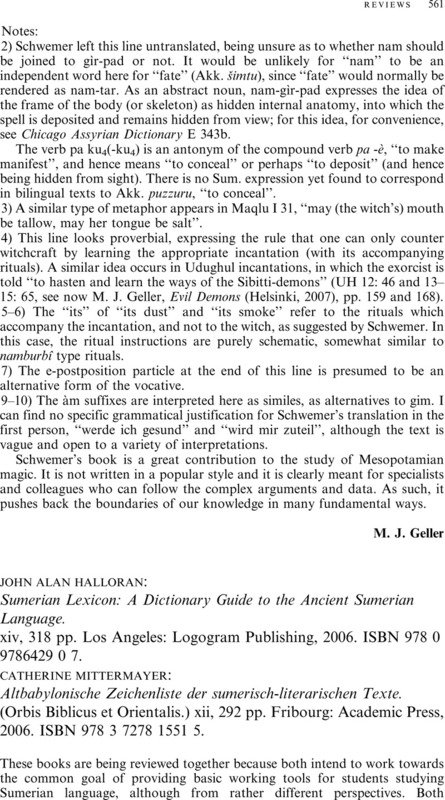 John Alan Halloran Sumerian Lexicon: A Dictionary Guide to the Ancient Sumerian Language, Los Angeles: Logogram Publishing, 2006. xiv, 318 pp. ISBN 978 0 9786429 0 7. - Catherine Mittermayer Altbabylonische Zeichenliste der sumerisch-literarischen Texte, Fribourg: Academic Press, 2006. (Orbis Biblicus et Orientalis.) xii, 292 pp. ISBN 978 3 7278 1551 5.